Yosemite National Park is open 24 hours a day, 365 days a year. The South Entrance at Highway 41 is open year-round. 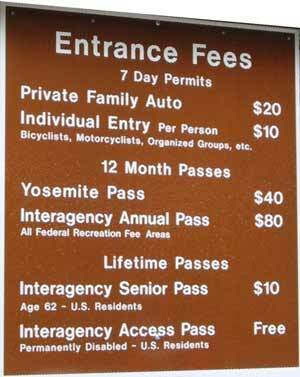 The Park entrance fee is valid for 7 days. You can drive your car into the Park and reservations are not required to enter. Day use parking is free. Visitors are encouraged to use the free shuttle bus system that runs to many areas of the valley floor. Some roads within Yosemite, such as the Tioga Pass (Highway 120), and the Glacier Point and Mariposa Grove Roads, are open seasonally. For private tours & guides click Resources & Links. Website development by Lynch Interactive, Inc.